I'm currently expecting my first child in January of 2016. I have just begun to outgrow my regular clothes and it's frustrating to not have much to wear. 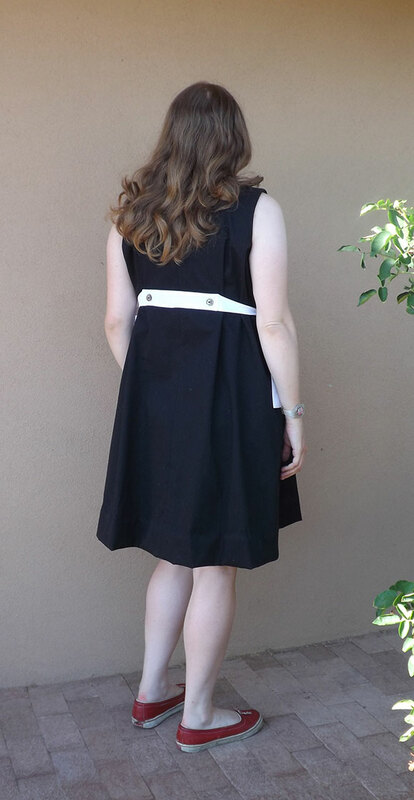 Luckily, I really like sewing so I was able to turn it into a fun challenge to design a dress that I can hopefully wear through the rest of my pregnancy. 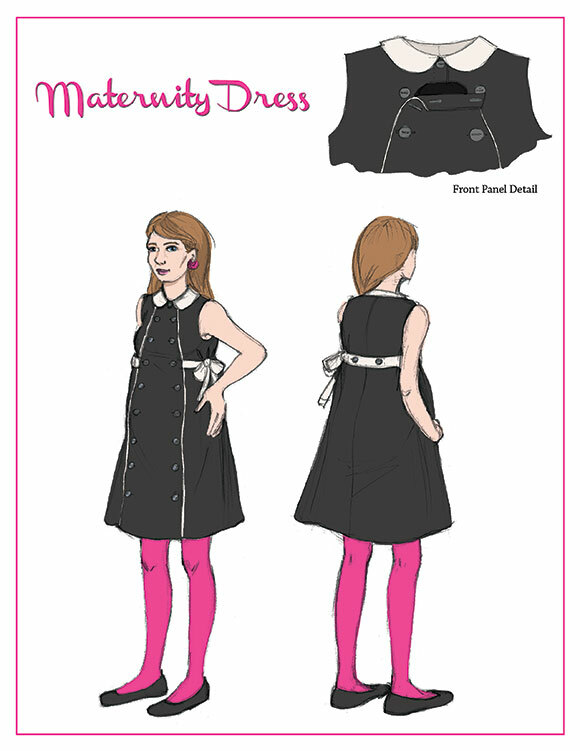 I've never tried to design something with a lot of size flexibility so I looked at a bunch of maternity sewing patterns from the 1950's and '60s for inspiration and ended up with this design. I started with a basic tent shape sloper for the body of the dress to give it a lot of extra room. To make it adjustable, I added the ties on the sides that can let out more fabric as needed. All the buttons on the front panel work, so that if I really underestimated how large I'll be getting, I can make an even wider panel to replace it. I included some practical side seam pockets too. The black and white color scheme is intentionally plain so that I can accent it with different shirts and tights underneath as the weather gets colder. Congratulations! That is a very cool dress. Looks like it will be quite functional! I've found that wrap bodices work really well, too, for both pregnant and post partum wearing. So, a dress that has a princess waist just under the bustline and a wrap bodice might work really nicely as the belly (and breasts) grow and then resize completely even after the baby is born.